We’ve shown you how effective F-500 Encapsulator Agent is against Class A, Class B polar, Class B nonpolar, three-dimensional fires, lithium-ion battery fires, energized transformer fires and even Class D. But can F-500 EA extinguish gas fires? You bet! 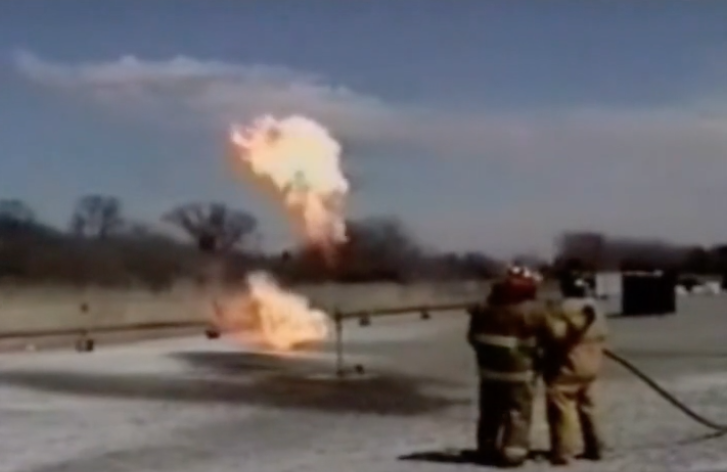 How about this propane pipe rupture fire extinguished in one second? Let’s see foam or water beat that.